I guess you could say we’re getting to be old hands at this. Thankfully our house was undamaged this time. It’s a good thing we cut down all those trees in the aftermath of the Good Friday Tornado. 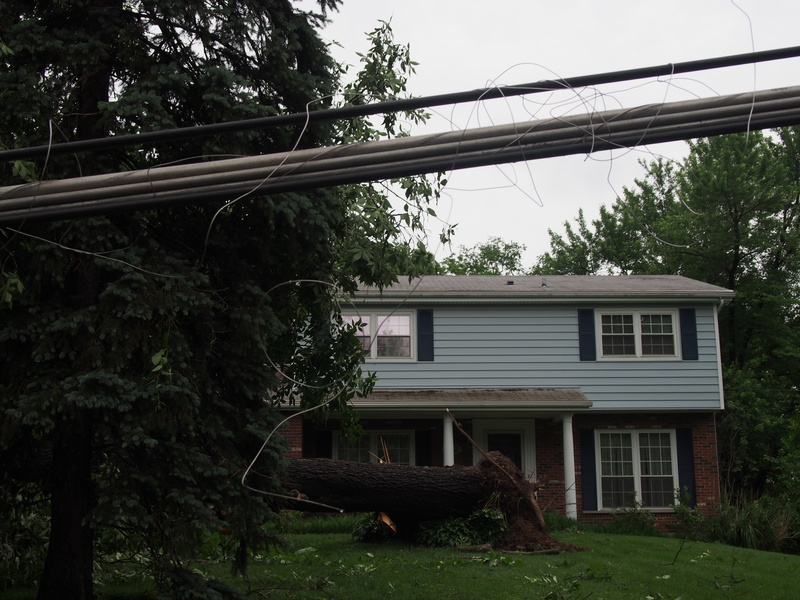 We saw plenty of damage around the area. Two very large trees fell in our neighborhood (one on Darst and one on Millman); both fell away from the homes. 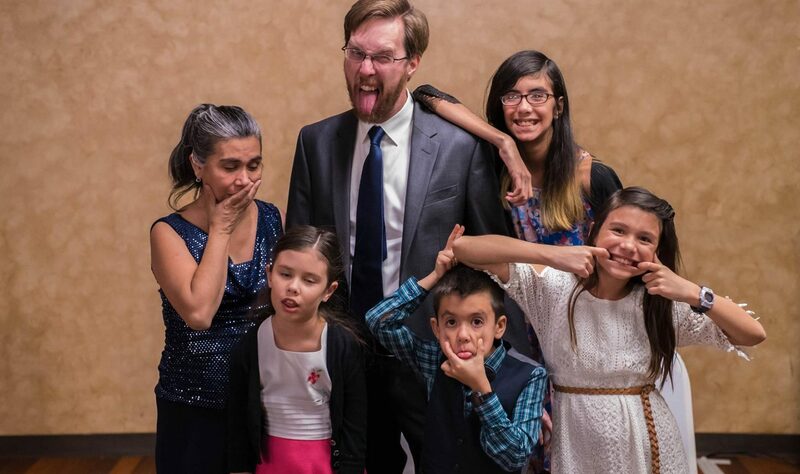 Other folks were not so lucky. I have read reports of houses that did get hit by trees — and several houses in St. Charles were completely obliterated by the tornado. For us, the extent of our suffering was losing electricity from Friday night through Monday night. When we rebuilt the house in 2011, one thing Yoli requested was to replace our old electric stove with a gas one. The contractors made that happen for us. So, this weekend Yoli was still able to cook meals on the griddle or in a skillet. 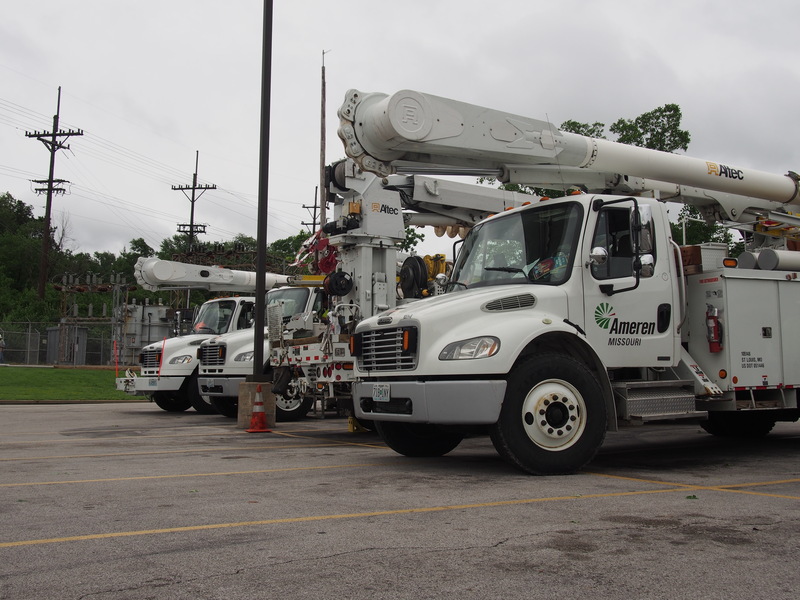 Ameren utility trucks near Aldi in Ferguson. At work on Sunday night, I put together an interactive map of the tornado’s path. It is eerily similar to the path of the Good Friday tornado, as seen on this damage map I made in 2012. If you explore that first map, you’ll see that our street, Forest Ave., was within the path of the tornado. So, that officially makes two tornadoes the Renaud Empire has survived. 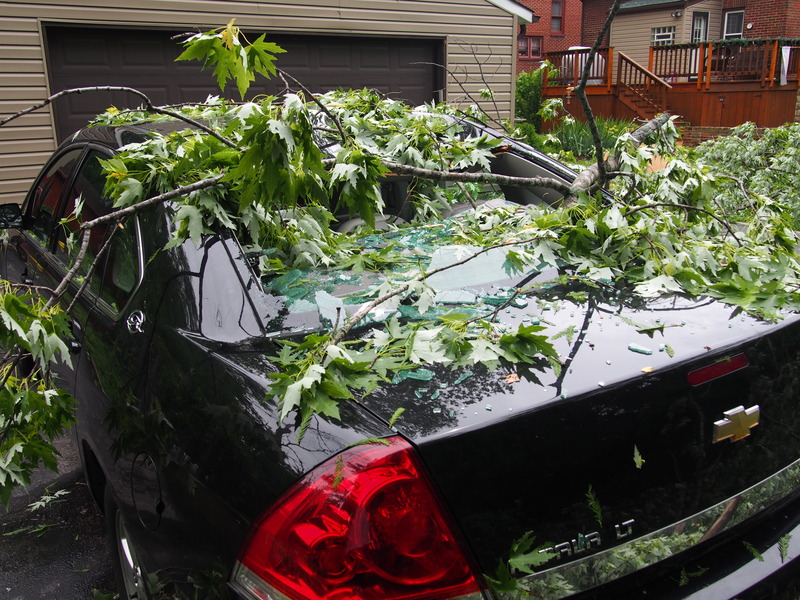 Tree branches broke this car’s window on Millman.